A special combination of brain wave frequencies are harmonically layered in soothing music to trigger heightened states of receptivity. Here, the unconscious is primed to receive and act on a new set of ideas. Subliminal messages are deeply absorbed by the unconscious to immediately and positively impact your sense of self, your creativity, and the dynamic expression of your power in the world. You'll notice a remarkable change in attitude that dramatically increases your personal magnetism. Creativity expands. Obstacles dissolve. And it might even feel as though the universe is conspiring with you to make your dreams a reality. The results are life-transforming. 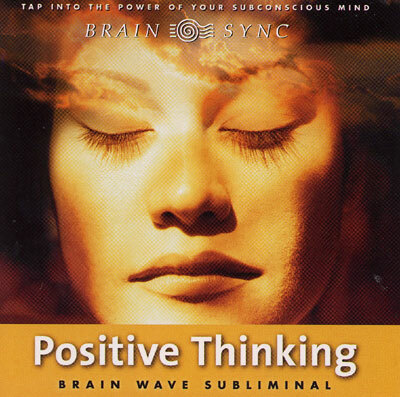 This Brain Wave Subliminal has two tracks: Both contain the exact same subliminal messages. You can listen two ways. Listen to both tracks anywhere or anytime over your stereo system. While you won’t consciously “hear” the subliminal messages they will be received and absorbed by your subconscious. For deeper subconscious programming, and to receive the full benefits of Brain Wave Therapy, listen to track 2 (the one without the piano overlay) with headphones at a time and place when you will not be disturbed. Allow your self to simply drift and relax. You might even fall asleep and take a refreshing nap. Whether you fall asleep while listening or not, theta brain wave frequencies will induce heightened receptivity to the messages. Theta brain waves have been identified as essential to learning and storing information long-term memory. Theta is the ideal state for subconscious reprogramming. Positive thoughts produce positive results. The only problem is that some of our most persistent, self-defeating beliefs are stored deep in the unconscious mind, where they have the power to undermine our happiness and sabotage our success. Now you can effortlessly change those negative inner tapes to produce the results you want with this Brain Wave Subliminal.